Stephon Clark was in his grandmother’s backyard, trying to get into the house. Stephon Clark was in his grandmother’s backyard, trying to get into the house Sunday night when two Sacramento police officers loosed a fusillade of 20 bullets, killing him, Clark's family told ABC News. Police were responding to reports of a black male breaking into a car and hiding in a backyard in the 7500 block of 29th Street, officials said. When officers arrived, they saw Clark and he advanced toward them, holding an object in his hand, according to police. Initially, police reported that Clark, 22, was armed with a gun, then with a "toolbar," but all that was found on him was a cellphone. On Wednesday, police released video from the officers' body cameras as well as night-vision, thermal-imaging video from a Sacramento Sheriff’s Department helicopter. The chopper video shows Clark running from a neighbor's yard and leaping a fence into his grandmother's property. The deputies in the helicopter can be heard saying the suspect had broken a window on the house next door and was checking out another car in the driveway. In that video, Sacramento police can be seen approaching Clark in the driveway before the view is obscured by the building's roof. The video picks up with officers running into the backyard and jumping back behind the corner of the building for cover. The police body-cam videos show the police running down the driveway after Clark and taking cover at the rear edge of the building. They can be heard yelling several times for Clark to stop and show them his hands before the 20-shot barrage. "Show me your hands! Gun, gun, gun!" one of the officers can be heard shouting just before shots rang out. The chopper video shows Clark moving toward the officers before the shooting, but it was unclear whether his arms were extended. Clark, whose nickname was “Zo” based on his middle name Alonzo, was a father of a 1-year-old and a 3-year-old, according to his brother, Stevante Clark. 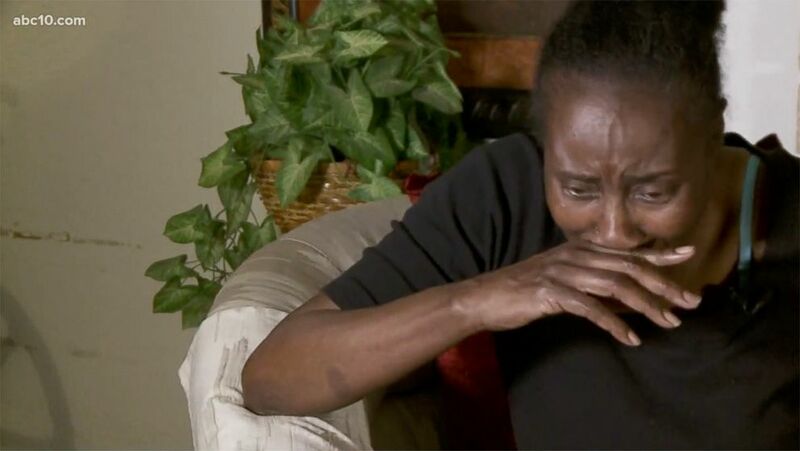 (KXTV) Sequita Thompson, the grandmother to Stephen Clark, during an interview in which she describes how her grandson was shot 20 times by Sacramento Police officers, in the backyard of her home. Stevante Clark said his grandparents heard the shots in the backyard, but believed them to be firecrackers. It wasn’t until officers were around their house that they looked out the window and saw Stephon Clark lying on the ground, Stevante Clark said. Authorities are still investigating exactly what happened, a spokesperson for the police department told ABC News. According to a press release earlier this week, police canvassed the area and found three vehicles with damages that they believed were caused by the suspect. There was also a nearby residence that had a sliding glass door shattered. According to Stevante Clark, he and Stephon Clark would regularly enter their grandparents’ house through the backyard because the front doorbell didn’t work. "It easily could have been me," Stevante Clark said. Both officers involved in the shooting are on paid administrative leave. 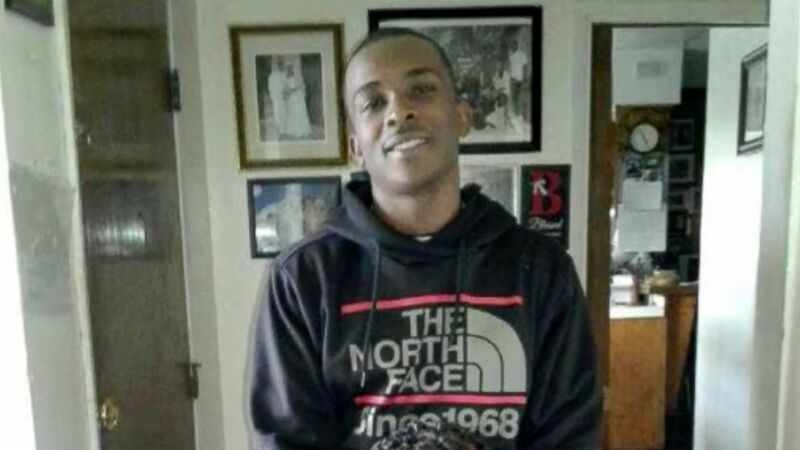 (KXTV) An undated family photograph of Stephon Clark who was holding his cellphone when he was fatally shot Sunday night by two Sacramento police officers who fired at him 20 times, the department said Tuesday. According to the spokesperson, Stephon Clark had prior felonies but would not go into detail about them. This shooting comes less than two years after the killing of Joseph Mann, another unarmed Sacramento man who was shot by police in the summer of 2016. His death led to a number of police reforms, including the requirement that all patrol officers wear body cameras and receive training in de-escalation. Berry Accius, a community activist in Sacramento, was at the forefront of pushing for changes in the department after Mann was killed. He’s ready to do the same again after Stephon Clark’s death. “There is no way for them to justify this. How do you shoot a person 20 times outside their grandparents’ house?” Accius told ABC News. Accius thinks this shooting will be a test for the police department. The family is in the process of getting an attorney and Stevante has started a GoFundMe to raise funds to bury Stephon Clark next to their older brother, who died in 2006.